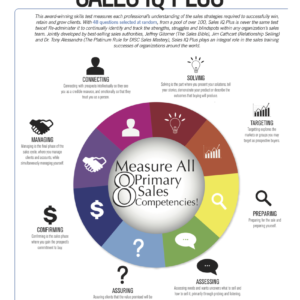 This award-winning skills test measures each professional’s understanding of the sales strategies required to successfully win, retain and grow clients. The package includes the comprehensive results report, a one hour consultation with the coach to go over the results and three months of weekly 20 minute coaching sessions. 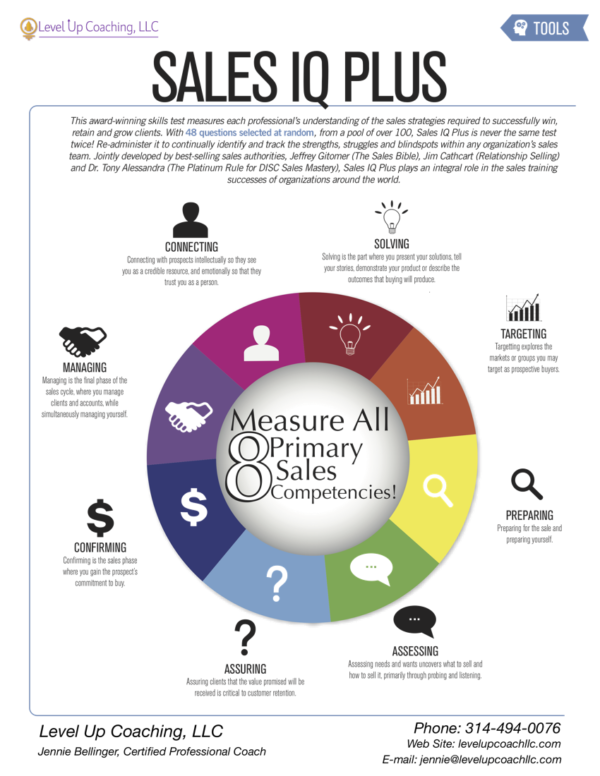 This award-winning skills test measures each professional’s understanding of the sales strategies required to successfully win, retain and grow clients. The package includes the comprehensive results report and a one hour consultation with the coach to go over the results. Once the purchase is complete, Level Up Coaching will send you a pre-assessment welcome letter, then the link to the online assessment. After you take the assessment, you will receive a pdf copy of the results report, as will the coach. She’ll reach out to you to set up the day and time for the results consultation. The results consult will show you where you excel in sales, where you may need a little improvement and areas of deficiency that could be holding you back from closing more sales with your potential clients. This package also includes three months of weekly 20 minute coaching sessions at preferred pricing.